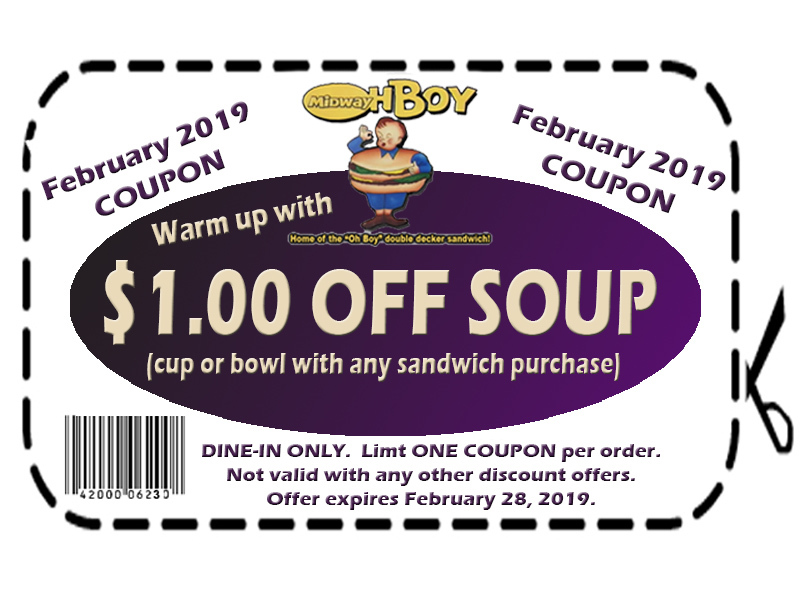 Warm up with $1.00 OFF SOUP with any sandwich purchase during February. Dine-in only. No separate checks please. Not valid with any other discount offers.